Gloucester's compost facility (located on Dogtown Road off of Cherry Street) is scheduled to be open the last Saturday of each month during the hours of 9 a.m. - 3 p.m. for brush, leaves, and yard waste. Leaves must be clean and free of rocks & debris. Brush must be less than 4" in diameter and 4' in length. Please empty all bags for better composting and please remember, no bricks, no stumps, and NO PLASTIC BAGS. Please note that the DPW does not carry/sell composting bins (or rain barrels). The facility is open to residents only, commercial landscapers are not allowed to dump at this time. Composting is a controlled process of decomposition of organic materials. Naturally occurring soil organisms recycle nitrogen, potash, phosphorus, and other plant nutrients as they convert the material into humus. enriches the soil. Using compost adds essential nutrients, improves soil structure, which allows better root growth, and increases moisture and nutrient retention in the soil. Plants love compost! 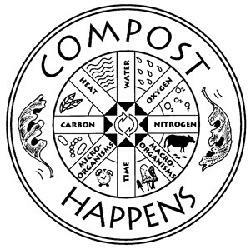 Please visit the MA DEP's website to view the complete Home Composting Guide, which explains the elements of a good compost pile, how to make a compost pile, and also the different types of composting bins. Did you know that a 1/2 acre lawn in New England produces over 3 ton or nearly 260 bags of grass clippings each year? Think of all the time, money, and effort it would take to bag all those clippings. Why go through all that hassle when it's really not necessary? Please view the complete brochure Don't Trash The Grass - MA Department of Environmental Protection.